What are some of highlights of your soccer career at CHS? The opportunity to play with not only some amazing teammates but make a number of new friends along the way. What was your most memorable game? I guess the last one because it's most recent and I have a bad memory. What are your soccer plans for the future? What advice would you offer to freshman players? Always work hard and be nice to people...but if you cant be nice at least be funny. 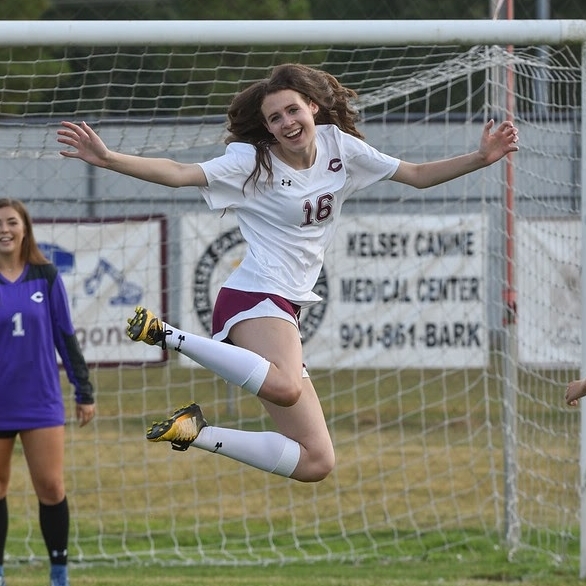 What will you miss the most about playing for the CHS Lady Dragons? I will miss playing with some of my best friends and being picked on by Sarah Block. What has the support of your family meant to you? The support of my family has meant the world to me, they have shaped me into the person that I am today. What are the funniest moments you recall about playing for the Lady Dragons? Being sucker punched by Sarah Block. What college do you plan to attend?